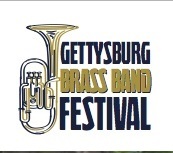 The Gettysburg Brass Band Festival provides a “life after high school” experience to the many students in school bands. The bands performing in the GBBF show students that performing opportunities continue after graduation from high school. Second, the GBBF provides a performance opportunity for bands from all over the country and worldwide in our historic town. Visit http://www.gettysburgbrassbandfestival.com for more information.